I've had a few calls about raccoons recently; reports ranging from them getting into trash cans at night, to even a report of one coming through a friend's open kitchen window and licking the butter dish!! Raccoon sightings are not new to residential areas. While they normally live in natural habitats, they can easily adapt and survive in urban settings where they may damage garden plants, knock over garbage cans or compost piles, and eat backyard fruits, nuts and vegetables. 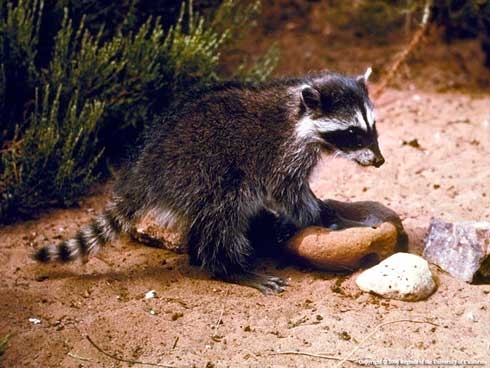 Problems in and around the home can also occur when female raccoons look for nesting sites. They can cause damage by ripping off shingles and other structural features when trying to get into the attic or underneath decks. Odors and other issues may result once they find a suitable nesting site, too. 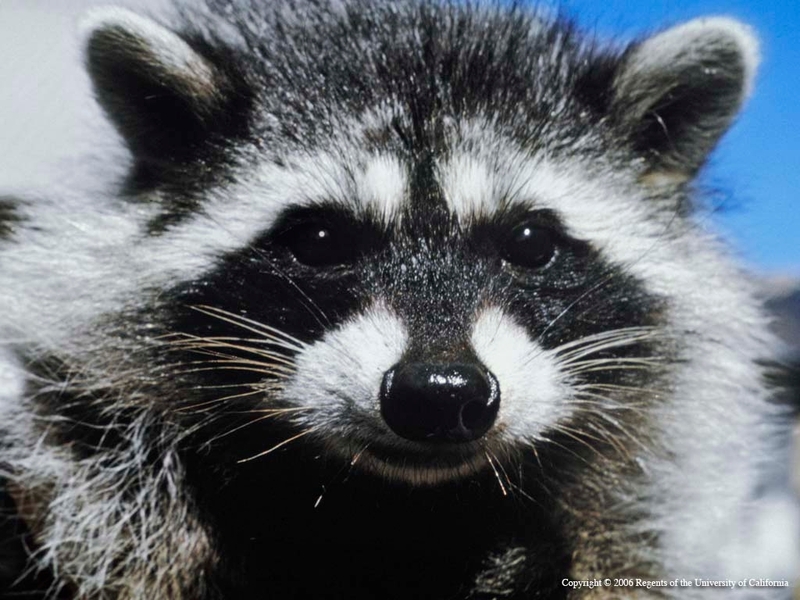 Raccoons are known to carry parasites and diseases so beware of contact with these animals by you or your pets. If raccoons become a problem on your property, learn about your management options by consulting the UC IPM publication, Pest Notes: Raccoons.